In The Power of the Piranha! Ben volunteers to take Deathlok to London to get Professor Kolt to remove the Fixer's mind control device, and take a detour into a vacation with Alicia. 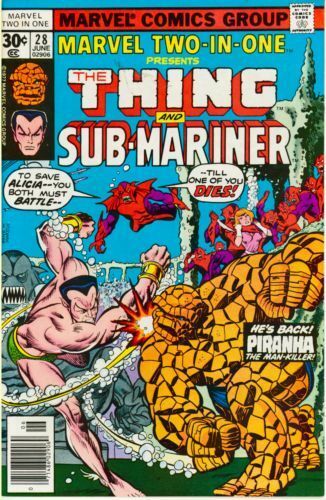 Unfortunately, an encounter with Namor and a school of intelligent pirahnas alters those plans rather dramatically.